The period covered by Arts:Search is 1920-22. Available soon. Published quarterly as an off-shoot of Colour magazine between January 1920 and April 1922. 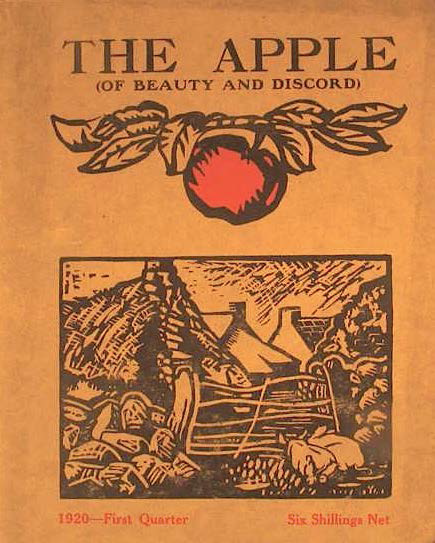 The magazine is divided into two distinct sections “Art”, which encompasses etchings, woodcuts, pencil drawings, etchings engravings, charcoal drawings, sculpture, lithographs, wash drawings, and aquatints, and "Letters”, which includes literary criticism, topical articles, poetry and short stories. Among the literary contributors are Ezra Pound, Kenneth Hare, Cecil French, Thomas Moult, W. H. Davies, Robert Grave, etc. Wyndham Lewis, Frank Brangwyn, John Nash, Gordon Craig, Steinlen, Randolph Schwabe, Joseph Southall, George Clausen, Paul Nash, Claude Lovat Fraser, Lucian Pissarro, Robert Gibbings, E, Knight Kauffer, Charles Ginner, Ethel Gabain, and others.